The Community Center underwent a complete multi-million dollar renovation in 2016. The Outdoor Swimming Pool and the Men's and Women's Spas opened on June 28, 2016. 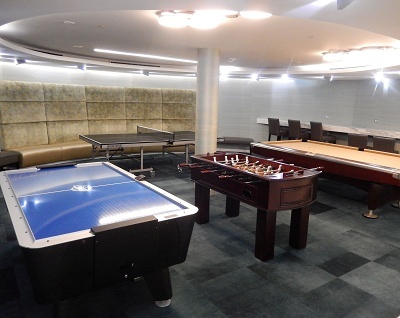 The entire lower level, including Indoor Swimming Pool, Fitness Center, Traditional Game Room, and Digital Game Room opened September 19, 2016. The Business Center opened in November 2016 and the General Store opened in December 2016. Completion of the new Management Offices, Front Desk, and Entrances on the Mezzanine level was in early February 2017. The remainder of the upper Mezzanine Level also just finished a complete refurbishment. New in May 2017 is a Lobby, Lounge, and Social Hub for residents to enjoy.